Mobile networks are nowadays architected to serve all users and all service types, with no specific tailoring to the individual needs of users or the specific requirements of services. However, statistics demonstrate that users exhibit significant diversity in their usage habits. Furthermore, current mobile networks are static; even if a mobile user moves far away from the mobile network infrastructure, he remains serviced by the same core network, a fact that may impact numerous emerging mobile services with strict latency and jitter requirements. To cope with the above, we aim for taking the concept of mobile networking a major leap forward, whereby both the mobile network and the mobile services it supports are personalized for individual users or customized for groups of users. To always ensure low latency, the mobility of both the mobile services and the personalized mobile networks will be seamlessly enabled as per the mobility features of users. 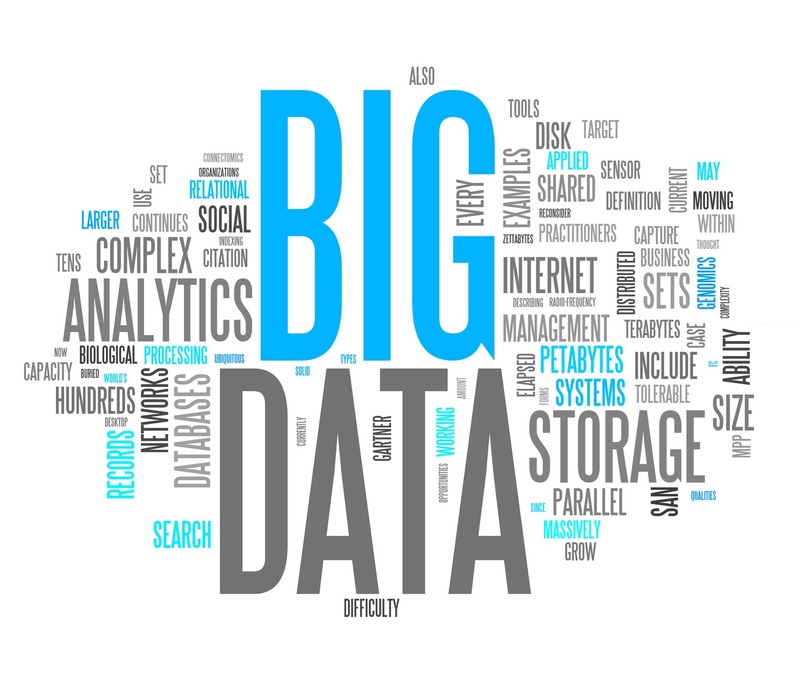 Service personalization and mobile network personalization are interactively happening and will be offered as one atomic personalized service using big data technologies. The edification of such breakthrough concept yields a number of challenging scientific problems that we are duly addressing, leveraging and contributing to technologies such as Network Function Virtualization, Software Defined Networking, Network Slicing, and Mobile Edge Computing. 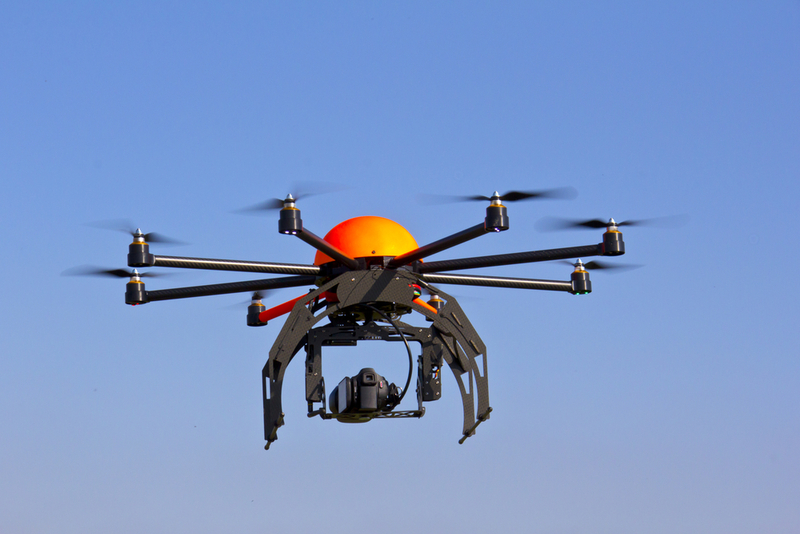 The usage of Unmanned Arial Vehicles (UAVs), simply known as drones, for mail delivery, rescue team management, or disaster recovery operations is gaining lots of attention. Along with the maturity of the technology and relevant regulations, a worldwide deployment of these UAVs is expected. Whilst these drones would be deployed for specific objectives (e.g., mail delivery), they can be simultaneously used for offering numerous Value-Added Services (VASs), particularly in the area of Internet of Things (IoT), when they are equipped with suitable and remotely controllable sensors, cameras, and actuators. 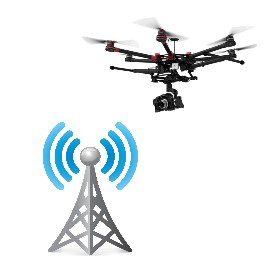 Indeed, integrating and orchestrating the different segments of drones (i.e., each manufactured with specific hardware and used for a specific purpose) would yield a potential Unmanned Arial System (UAS) that could be used as an important data transport platform, on the fly and in parallel to the existing Internet system. Sharing the infrastructure of this UAS for the provisioning of different IoT services would lower both capital and operational expenses, would encourage innovation giving birth to a plethora of new IoT services that can be offered only from height, and would create a novel ecosystem with new stakeholders. The edification of this self-* multi-purpose UAS along with its VAS and its orchestration system comes with a number of scientific challenges, that we are duly addressing, leveraging the team’s expertise in IoT device management, mobile networking, and cloud computing. The goals of this research activity are to create a new type of Internet service by building an agile online system, which enables a user to automatically create and manage an Over the Top TV channel, and to automatically create and manage the channel’s social network (i.e., target audience). In this research work, we aim at enhancing the TV viewing experience. Effortless personalization will be ensured by sophisticated content recommendations and sharing of channels by content providers and users. Here, we also envision creating a new paradigm for socializing around audio-visual content and aim at creating new forms of social engagement and collective content consumption by making the creation/management of a TV channel/audience a core social networking act. To achieve this vision, our research focus is on i) designing and implementing flexible and elastic cloud-based content delivery architecture/content placement and distribution algorithms for optimized delivery of personalized TV programs, and ii) on defining new personalization and group recommendation strategies using big data techniques. NSP enables to simulate the performance (RAM, CPU, Bandwith usage, etc.) and events (Hand-offs operations, Tracking Area Updates, etc.) related to the utilization of eNodeBs and Edge Clouds in a given simulated area against the behavior of a group of mobile users (i.e., walking, biking, or driving), IoT services (i.e., weather sensors, Parking sensors, and air pollution sensors), and UAVs (i.e., home drones and transportation drones). This behavior is defi ned in terms of mobility patterns and mobile service consumption. In its new version, NSP goes beyond providing basic logs and numbers on handoff operations, tracking area updates, and service requests issued over a specific geographical area during a specific time window. Now, it leverages on LENA NS3 to have detailed information and statistics on Key Performance Indicators (KPI) (e.g., temporal variation of PHY Layer KPIs such as RSRP and SINR reported by UEs, temporal PDCP Layer KPIs such as the average PDU size and delay, etc.) and events (e.g., detailed logs related to the signaling messages generated during a HandOff operation such as UE's position, time, cell id, UE's IMSI, average SINR, etc.). It also provides detailed information on drones during their flight time (e.g., the eNB linked to them, position, speed, data usage, mavpacket size, etc.) and gives a view in real time about the cloud resources used in each Edge Cloud. 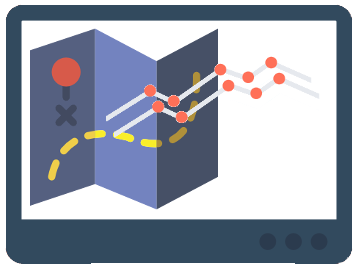 All the simulation data are visualized in a user-friendly and optimized player. Live strEaming VehIcle System (LEVIS) is a new platform developed in MOSA!C Lab that aims at providing both live streaming and VoD videos, of the streets recorded from previous live streams, alongside with the GPS location in which the stream has been captured. These streams are offered to tenants that can be third party software and/or a group of subscribed users. The different streams are mainly provided by streaming terminals, which should be a Single Onboard Computer (SOC), such as a raspberry pi, dotted with camera, GPS and connected to the internet through a wireless transceiver (ex: 4G internet dongle). 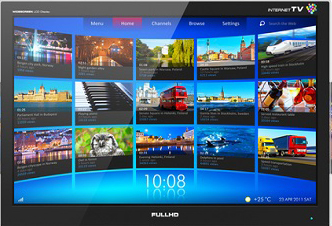 The streaming terminal can be onboard of any moving objects such as cars, buses and bicycles. The vehicle owner can log into the SOC, select the desired streaming quality from settings and then start using the different features of LEVIS-Client, namely: live streaming, record locally (in case of no internet connection) and upload the recorded streams. The users can access the different streams (live or recorded) through a web interface that allows the user selecting the desired area from the map and the search radius. He can also specify the time window of the streams, their type (live or recorded), quality (HD, SD or LD) and the vehicle type (Car, Bus, Bicycle). The search results are displayed on the map as markers and the corresponding stream is displayed to authenticated users in popup window on marker click. The user can also visualize the path taken by the vehicle. In the future, the monitor, control and maintenance process of smart factories will be related to the installed IoT devices on their premises. 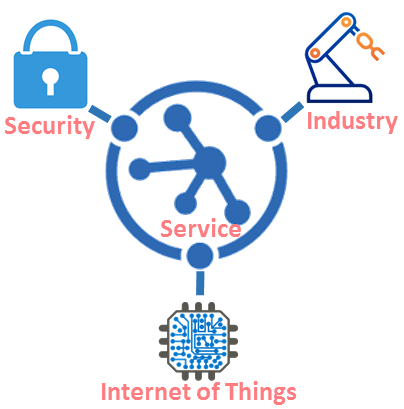 Any dysfunctionality or misbehavior of the IoT objects, due to an outsider attack, could affect dramatically the functionalities of the whole process of the smart factory. For this reason, the detection and the prevention of the attack at the early stage is a mandatory process. In order to deal with the challenge, we have developed a new platform that leverages SDN and NFV for detecting and preventing attacks in IoT environments (e.g., smart factory). The proposed platform consists of four main components, namely: 1) User plane; 2) Monitoring and reaction plane, 3) Security orchestration plane, and 4) Security enforcement plane. We have enabled and tested four use-cases using this platform. These use cases are 1) INSIDER ATTACK ON THE FIRE SUPPRESSION SYSTEM, 2) DOS/DDOS ATTACKS USING SMART CAMERAS AND IOT DEVICES, 3) REMOTE ATTACK ON A BUILDING ENERGY MICROGRID, and 4) CASCADE ATTACK ON A MEGATALL BUILDING. 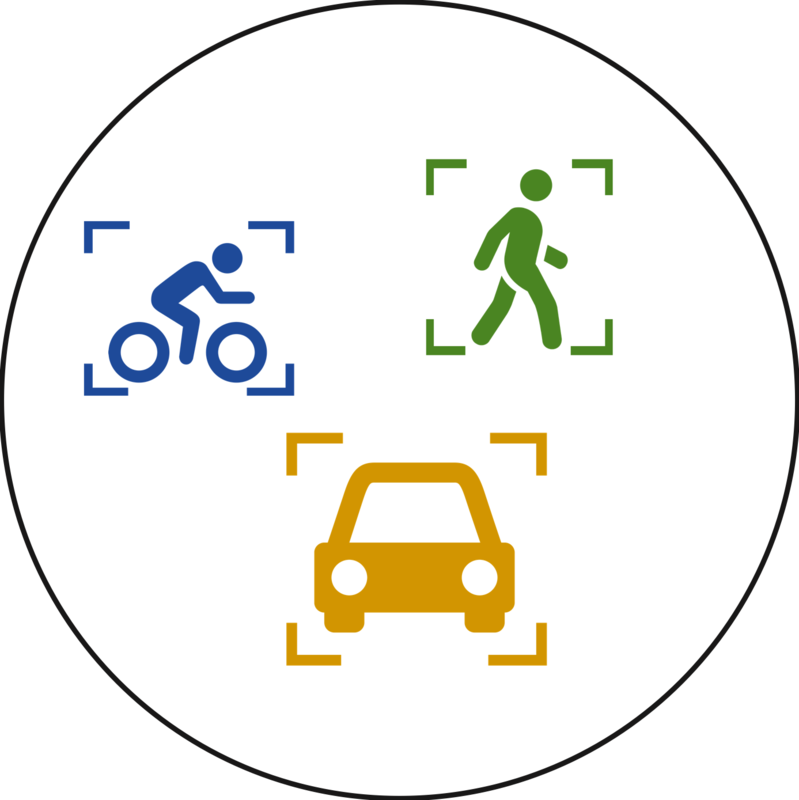 Object Detection and Identification System was developed in the Mosaic lab. It allows clients with GPS and camera enabled moving devices to stream their environment as they capture it through a client app. These streams are then processed in real-time through an object detection service to extract different features from the captured traffic components and classify them. The system gives its users access to a platform where they can view the streams and objects they have captured, mapped out by location and time. The idea behind this system was inspired from the concept of local dynamic maps that contain highly dynamic data such as traffic components GPS locations and other semi dynamic data like traffic signs. The ODIS system keeps a history log of all data captured through the cameras of its clients, and in this aspect, can provide its subscribers with detailed traffic statistics by zone of detection. The web platform allows the user to access, for each country and zone, a map view of the streams captured there. For each stream, it displays the path the vehicle took when streaming and the objects it captured. The user can also view live streams as they are being broadcasted and access the object locations and screenshots in real-time. 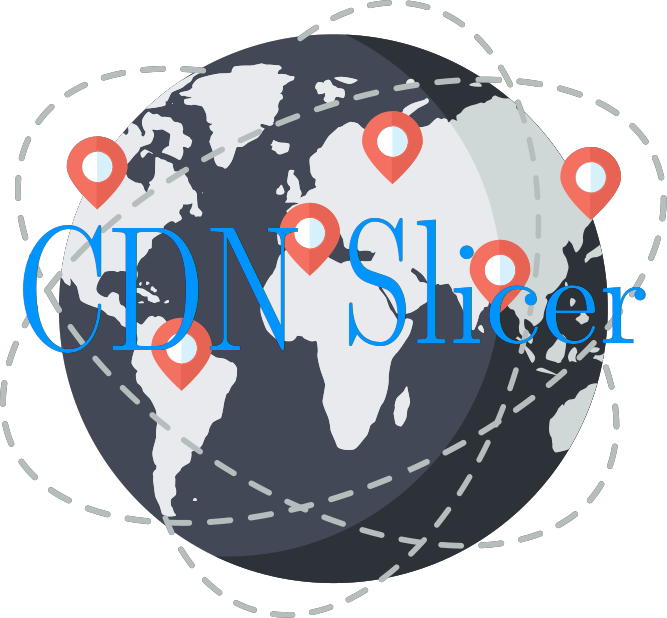 Network slicing offers numerous benefits, particularly the ability to deliver highly customizable services to new industry sectors that have been unserved or inadequately served by current mobile network operators. 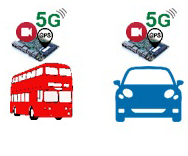 Among new industry use cases that are targeted by the fifth generation (5G) mobile systems, there exist scenarios that go beyond what the current device-centric mobility approaches can support. The mobility of low latency communication services represented by high-speed trains, autonomous vehicles and Unmanned Aerial Vehicle (UAV) is a prime example of these cases where the platoons will be using resources and services of a given slice. The slice with its resources cannot be provisioned across all nodes and domains, but the slice needs to react to the end user mobility patterns. 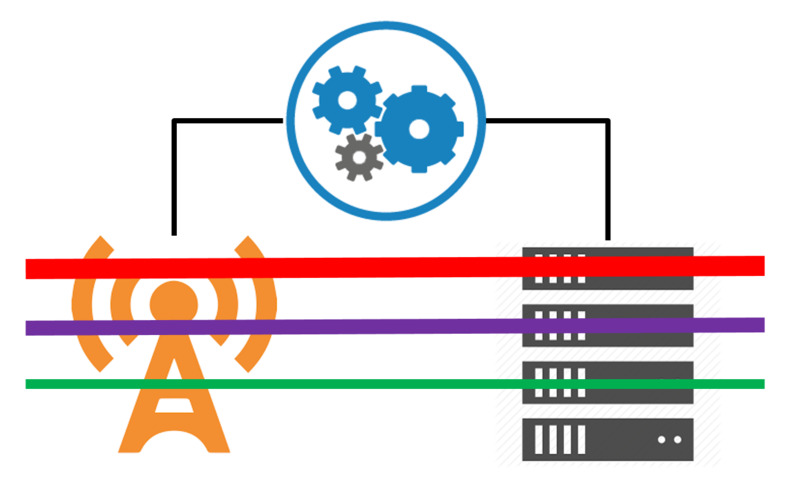 These use cases' demands for ultra-low latency can be addressed by leveraging the Multi-Access Edge Computing (MEC) concept, techniques for live migration of virtual resources, Software Defined Networking (SDN), and network slicing. In this vain, the MIRA! 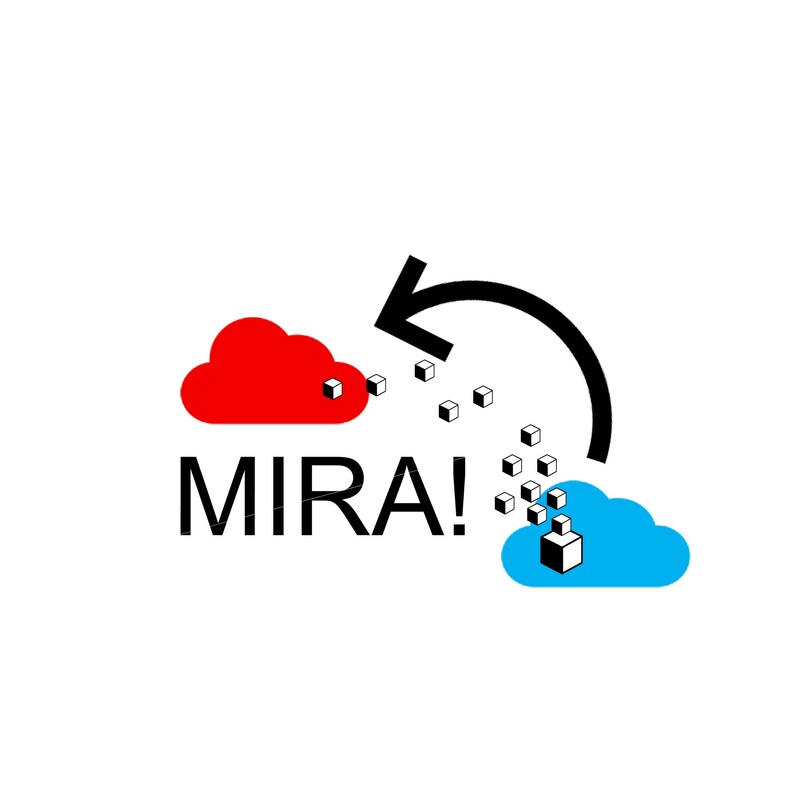 framework was designed and developed within the MOSA!C Lab research group to manage reliable live migrations of virtual resources across different Infrastructure as a Service (IaaS), handling unexpected cases, while ensuring high QoS and a very low downtime without human intervention using an SDN aware solution. The figure 1 depicts the main components of the envisaged system.